Home / Weight Loss / Real Weight Loss Stories / Bestselling Author Jené Luciani Survived A Near Fatal Blood Clot And Discovered Fitness That Changed Her Life! Jené Luciani become a bestselling author and bra guru, helping millions of women through her books, TV and events. She comes from very humble beginnings in a small town, got her start in local news, and built her brand from the ground up, becoming a national media personality. In the last few years, she has gone through a lot. 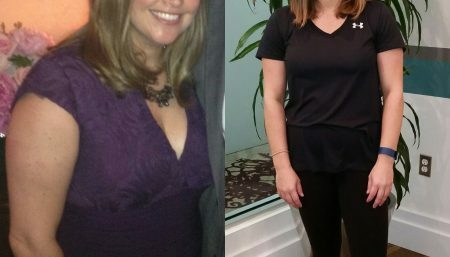 First a divorce, then survived a near fatal blood clot in her lung, discovered Fitness and dropped 10 dress sizes! She now raises 4 children with her current partner and continues her mission to help women everywhere be the best they can be in the skin they’re in! In our series covering #RealWomen in March, lets check out Jené Luciani’s incredible story in an exclusive interview with Women Fitness below. 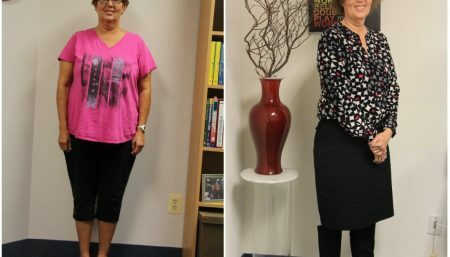 After surviving a near fatal blood clot in your lung, you discovered Fitness and dropped 10 dress sizes. 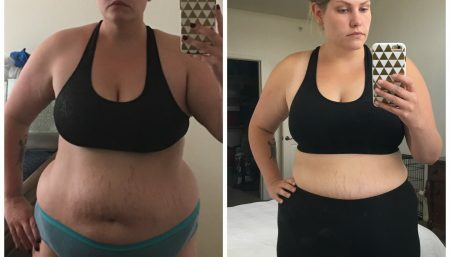 When did you realize that you needed to lose weight? It was never a weight thing for me. I’m 5’9” so I carried it pretty well. People thought I was just curvy. But eating whatever I wanted and not enough exercise wasn’t going to work out for me! Having that scare made me realize I could be leaving my daughter without a mom. So I started hitting the gym with the encouragement of my boyfriend. I got myself into weight training and never looked back. I would never believe I could transform my body in this way. I think it’s a Control thing. I found out that I have a gene that makes me predisposed to getting blood clots that I never knew I had. I can’t control that nor what happened to me but I think that taking charge of my health and fitness gives me some sense of control over my life. It wasn’t much of a journey really. I had been taking pole fitness classes several times a week so I wasn’t in terrible shape. After I got sick, I changed my diet. Stopped eating at night, cut down on bread, cut off sweets, and got myself into the gym. Once you start building muscle, you burn even while you’re resting so I made my body a lot more efficient at losing weight, and keeping it off. I believe I’m the size I’m supposed to be. I used to do weight training and cardio five days per week, focusing on different muscle groups at each training session. We had another child, and I’m traveling a lot for work so it’s not always easy to get there anymore. Instead of beating myself up, I get there when I can which tends to be 3 to 4 days a week. I believe it’s not the amount of time that you spend in the gym but what you are doing while you are there. Since the frequency is less for me, I am trying to do more power exercises and those that engage the most muscles in my body. I always end with 30 min of cardio. I’m fortunate that most of the time I work from home! I usually start my day with eggs. Lunch is either a Post-gym protein shake with a banana and peanut butter, or tuna and a piece of whole wheat bread, or crackers dipped in chive cottage cheese. Dinner we always have a meat protein and a vegetable, like steak and Brussel sprouts, or salmon and asparagus. We use plenty of olive oil and I definitely don’t deny myself any of the foods I love! In the morning I have fat free coffee mate creamer, and at night, I unwind with my prosecco. I would say my boyfriend was a big motivator. He never told me I needed to lose weight or anything like that; when I expressed that I wanted to get healthier, he encouraged me to try the gym. For someone who’s not a lifelong gym person, I think that can be intimidating. So having him “show me the ropes” so to speak made it less so. I would like to get back to my schedule where I was getting to the gym 5 days per week (for mental health too!!) and figure out how to keep that going while I’m traveling! You are a bestselling author and bra guru, helping millions of women through your books, TV and events. Tell us more about your books and how are they helping the women out there? In 2009, the first edition of The Bra Book was published by BenBella Books, and private labeled for retail outlets by bra retailer Fashion Forms. 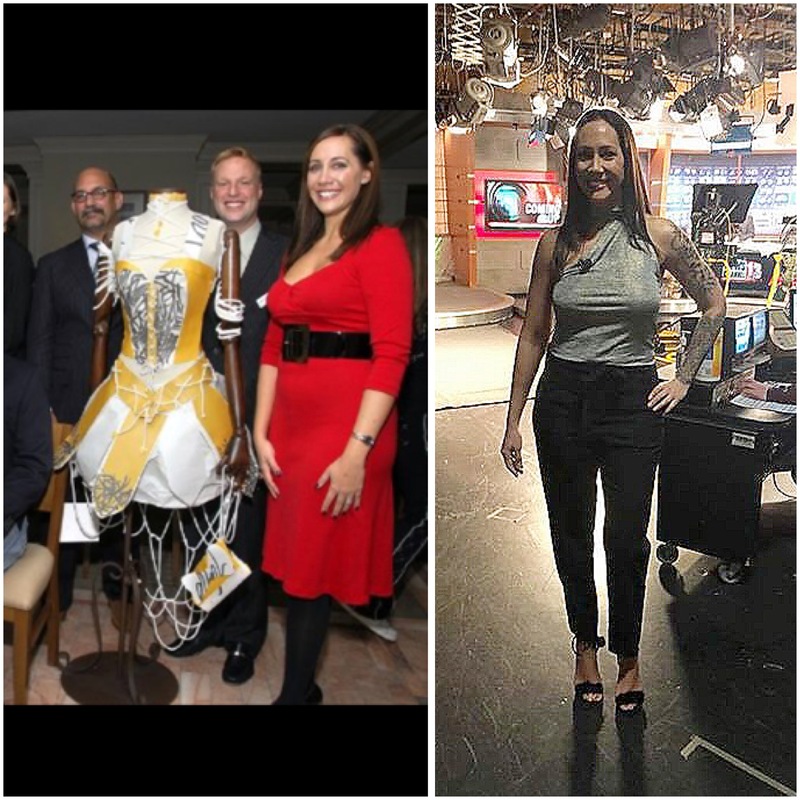 I was a journalist and TV style expert giving fashion advice, And decided to tackle this topic that no one really wanted to talk about! I took a risk and with the right team around me it definitely paid off. I met Oprah, she loved the book and the idea of it… I went on Dr. Oz where he called me the foremost authority on all things bras… I hosted several workshops with former GMA host Joan Lunden, and became a regular on Hoda & Kathie Lee. They use my book for classes at FIT, and I’ve had hundreds of women write to me and come up to me at events and tell me how it’s changed their life. What can be better than that?!? In 2017, it was released in 2nd edition with added sections on shapewear and swimwear. I now work with companies like SOMA bras to further get the message out, and I even had the honor of doing a TEDTalk! Now, having a blended family with 4 children, my life has morphed from entrepreneur to crazy busy mom! With that in mind, I teamed up with RHONJ’s Jacqueline Laurita and co-wrote Get It! A Beauty, Style and Wellness Guide to Getting Your “It” Together, which was endorsed by Hoda Kotb and Kathie Lee Gifford. It’s a lifestyle guide loaded with tips and info on everything from Fitness to food to fashion – you can get it on Amazon!